Adriana is originally from Mexico City. 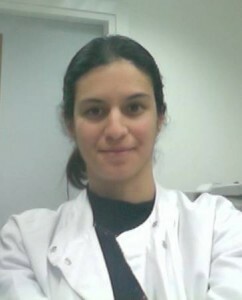 She recently joined the group and the focus of her PhD is the study of prostate carcinoma-associated fibroblasts and its contribution in prostate cancer development using spectroscopic methods. She is a Telecomunications Engineer and received her MSc in Electronics and Telecomunications with a specialisation in optical communications at Ensenada Centre for Scientific Research and Higher Education in Baja California, Mexico.